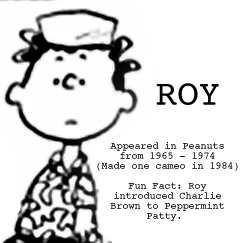 The tidbit that came out of that experience was that my mother had wanted to cast me not as Charlie Brown, which was, I thought, my destiny, but rather as Snoopy, which she insisted was a better part. She was right, of course, but I drew the line at her suggestion that I should study how my dogs behaved in order to research the role. My dogs spent far more time licking things than I thought would be appropriate in my interpretation of the character. The one funny part I do remember, though, is that the centerpiece of the whole number was a very nice kid who couldn’t carry a tune if it had handles on it, so the director gave him a part in the manufactured drama in order to give him something to do. When he wasn’t in the number, the director called him our “tacit” singer, meaning he should just stand there and mouth the words and not befoul the choir with his actual voice. 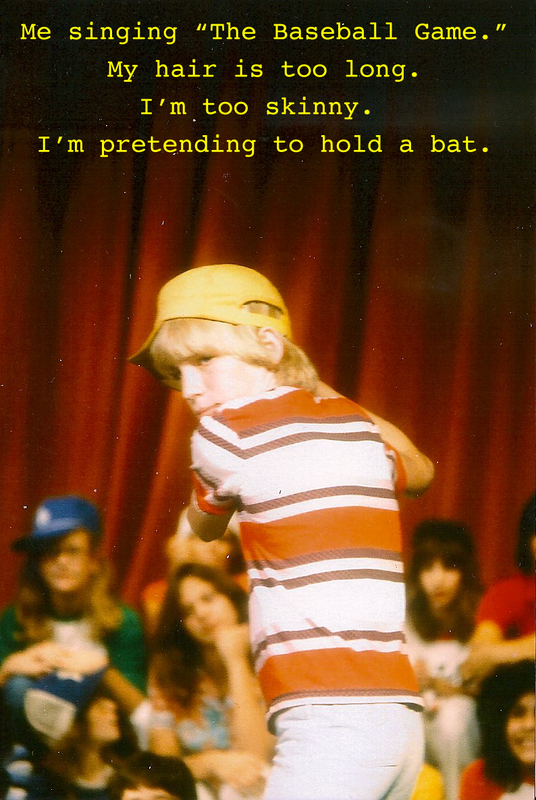 “The Baseball Game” was far more faithful to its source material, and it involved me – FINALLY – playing Charlie Brown, the (non-licking) role I was born to play. The rest of the choir was my baseball team, with My Esteemed Colleague leaping out at one point to shout “M!” with ludicrously precise pronunciation when the players were called upon to spell the word “TEAM.” Without prompting, My Esteemed Colleague also decided to play a janitor at the end of the song, sweeping up after everyone else has abandoned poor Charlie Brown when he single-handedly loses the game.